**Totally revised on 4.6.19: Additional resources added and new formatting! 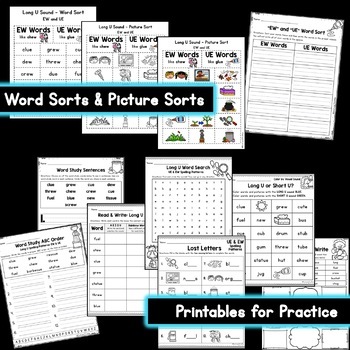 This resource includes a word sort, recording sheet, and other printables for the UE and EW spelling patterns for Long U. See the preview! 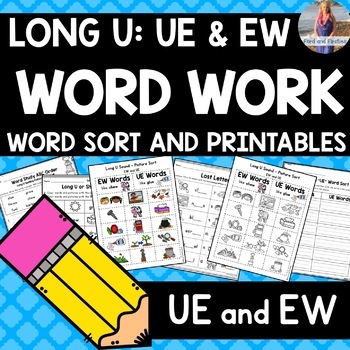 ⭐LONG U Games: Use for hands-on-word-study-FUN! UE & EW Game Pack! Long U "I Have, Who Has?"